Digital audio created by the ADC1 provides a stunningly faithful recreation of the input signal. The distortion free output is so pristine you can now record detail which was previously masked by jitter induced artefacts and distortion. Without exceptional recording capability, efforts made with equipment, microphone, mic-placement, and venue selections will be compromised. Main output sample rates are 44.1, 48, 88.2, 96, 176.4, and 192kHz, with a word length of 24-bits. The main output signal is simultaneously on XLR, BNC, and 192-kHz capable Toslink connectors. Output signal format choices include: AES, S/PDIF and ADAT. A simultaneous secondary output provides 44.1 or 48-kHz output with a switch selectable 16 or 24-bit word length resolution. This output is intended for safety backup recordings. The secondary output has the same quality as and is fully independent from the Main outputs in both sample rate and word length. The reference input features auto-detection and lock to a source format of either AES, S/PDIF, word clock, or super-clock. The ADC1 has its own internal, international, toroidal power supply. 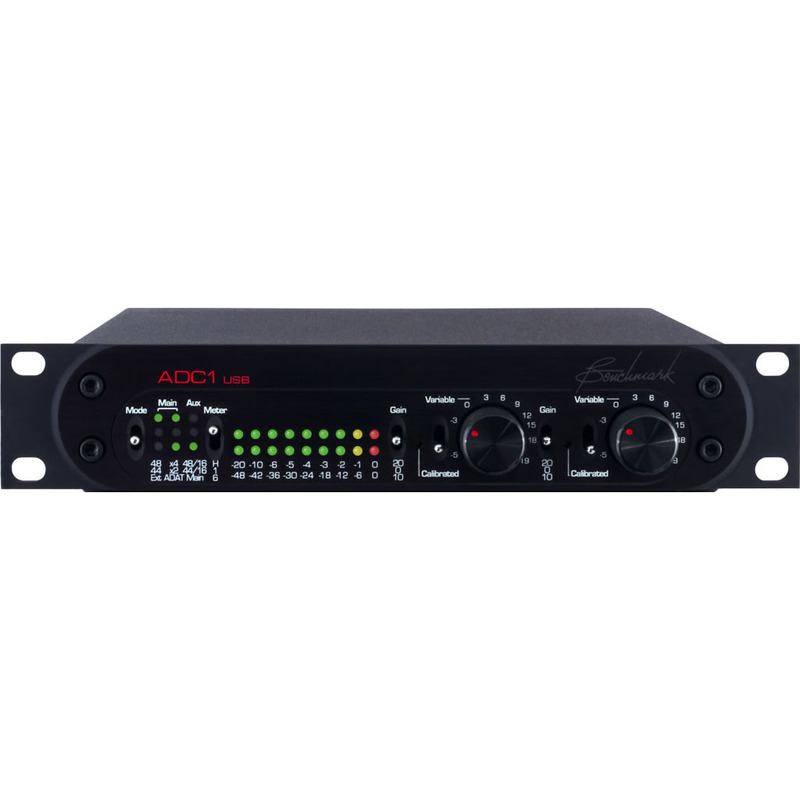 The ADC1 is essential equipment for mastering, home recording studios, location recording, and broadcast facilities - any place that requires uncoloured recording capability.